When temperatures start to drop, we immediately go to our thermostat to warm up the house. What if we told you that your thermostat wasn’t the only way to warm your house up? 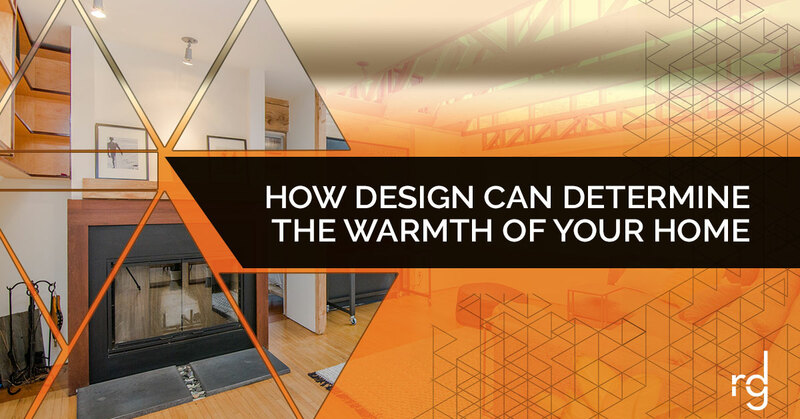 Believe it or not, there are various design elements that can contribute to the overall warmth of your home. Keep reading to see a few of the design approaches that we use to bring warmth into the home. The textures that your eye takes in are one of the first things that will tip them off as to whether or not a room has a warm design or not. Design elements that are slick or smooth usually put off a cooler vibe, while design elements that offer some sort of texture can increase the warmth within a space. Don’t worry, this doesn’t have to be an expensive or time-consuming task. We love adding a blanket that has a cozy texture to a space. Immediately you’ll see how much this one item can warm up a room. Tip: Faux fur is a great way to add texture to a room and make it look cozy enough to jump back into bed. One of the easiest ways that you can warm a room up is by introducing warm colors into the color scheme. This is an easy way to warm a room up when seasons change and make it easy to cool back down once the temperatures rise again. Whether you choose to paint an accent wall or incorporate some throw pillows, deep reds and warm yellows are fantastic additions to make. The great news is that these colors often work well alongside one another and they’re easy to pair with neutral colors. So, if you have a room that is painted a nice shade of gray or tan, adding these color elements into the mix can quickly warm up the room, and they’re easy enough to switch out at the end of the cool season. Tip: Some of the best colors to introduce to your home are red, yellow and orange. Not only are they complementary colors, but they add a great pop of color. One of the trends that we see in fashion when temperatures start to drop is layering. Not only is this cozy for you to wear, but it can quickly make a room all the cozier. The best way to layer in a room is by adding rugs, blankets and throw pillows. This adds some bulk to the room and makes it so much more inviting. Normally, a bare floor and an empty couch make the room look tidy and well kept, but by adding these small design elements, you welcome your guests to settle in and get comfy, which is exactly what the cold weather calls for. Tip: Get bold with your layering! The same way that you can try new things with your fashion and the layers that you mix and match, try bold and unique combinations with the rooms in your home. We’ve included a few great ways that you can warm up your home when the temperatures outside start to drop, but there are various other things that you can do to warm the space up. With years of experience comes years of creative ideas that we’re ready to put to the test! Give us the chance, and we’ll always deliver. If you’re in need of some help with warming up the interior of your home, contact Rinehart Design Group today. We have a passion for design and would love to contribute to the interior design of your home. From custom cabinetry to design elements, our team is here to help. Reach out to us and we would be more than happy to schedule a time for a consultation on your home and the goals that you have. Once we’ve learned more about your space and the look that you’re trying to achieve, we’ll conduct a plan of action and share it with you. At the end of the day, our goal is to provide you with a look that you’re pleased with. Let us know how we can help, and we’d be happy to!